The title of this book – The Fight to Stay Put – is both an homage to and a play on Chester Hartman’s 1984 manifesto, The Right to Stay Put. It is here where Hartman first makes the case that property 'ownership' must be approached as much more than simply a purely economic matter: it is affective, it is emotional, it is personal. How people connect to place indelibly matters. On the one hand, fights to stay put can be seen as representations of struggles for social justice as they relate to place. On the other, they can be seen as the inevitable non-representational outcomes of territorial conflicts where fights for and over affective connections to place clash with those seeking monetary profit and power through re-productions of space. 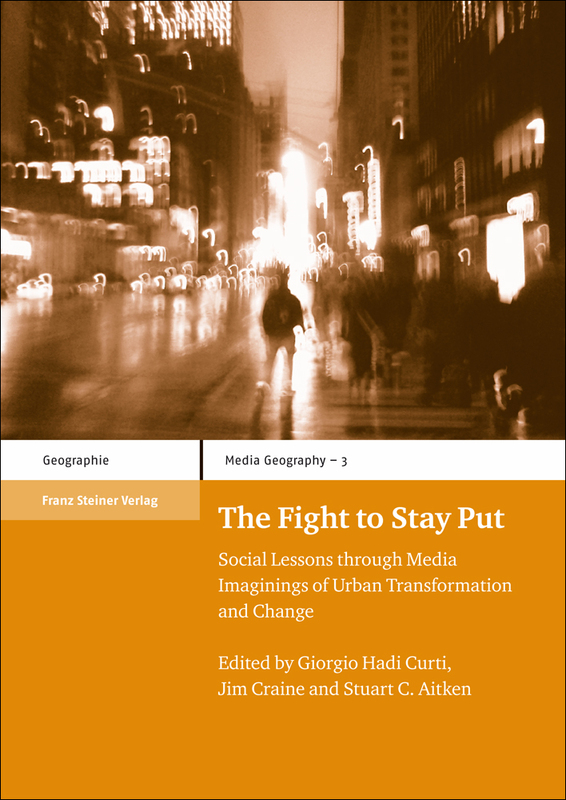 Media provides a particularly illuminating window into such fights and the social lessons that can be learned from them because of its ability to readily reveal intersecting narratives and wider processes impacting and composing place. These capacities of media are, perhaps, more important than ever today as forces of neo-liberal globalization and urban transformation and change continue to decentralize space. The trajectories of these fights and how they work through different concrete and imagined media landscapes form the basis of this book.